Mother of Citi FM’s Programmes Manager and host of Traffic Avenue, Jessica Opare Saforo has passed away battling cancer. She died at the 37 Military Hospital on 12th February 2018. 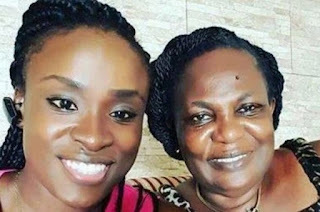 The television personality, events MC and the C.E.O of The Voice Ova Company, a voice talent agency and media production house made the announcement of her mother’s death on her Facebook page. 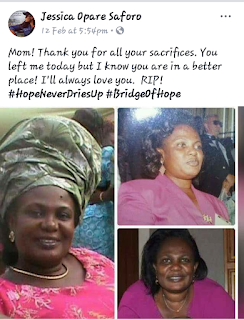 Madam Felicia Opare Saforo was a retired teacher and the founder of Bridge of Hope Preparatory School in Adenta.